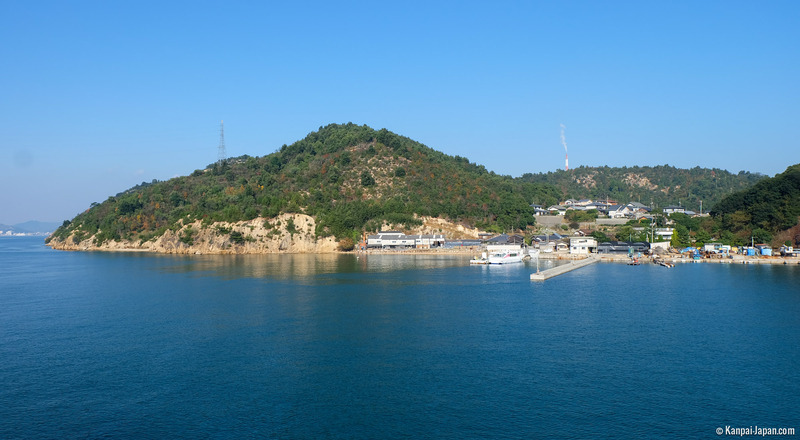 Naoshima is a small Japanese island located in the Inland Seto Sea and belongs to Shikoku's Kagawa prefecture. 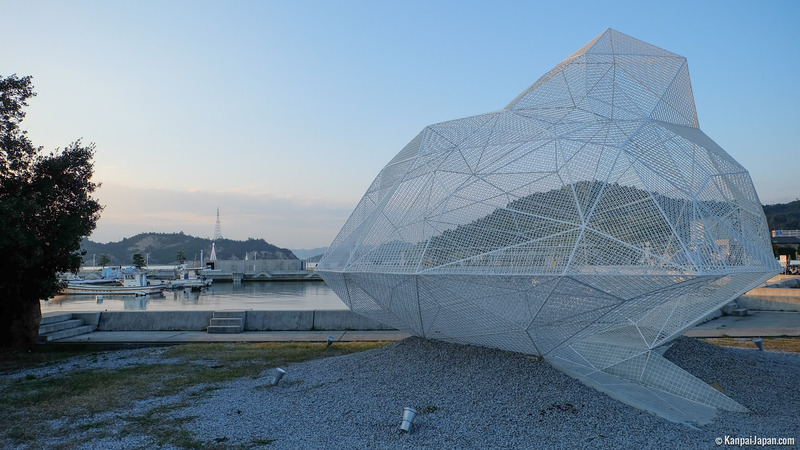 It is known worldwide for its modern art museums, the architecture of some of its buildings and its sculptures distributed all around its landscapes. 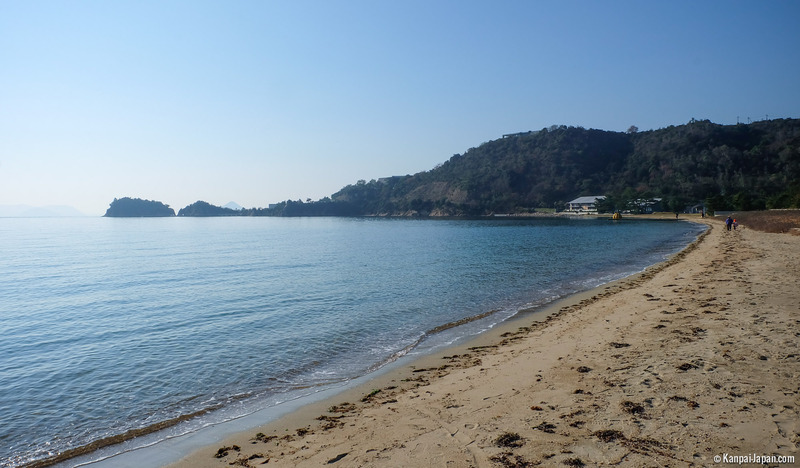 The pleasant climate also makes Naoshima a great spot for visitors to enjoy its sand beaches. 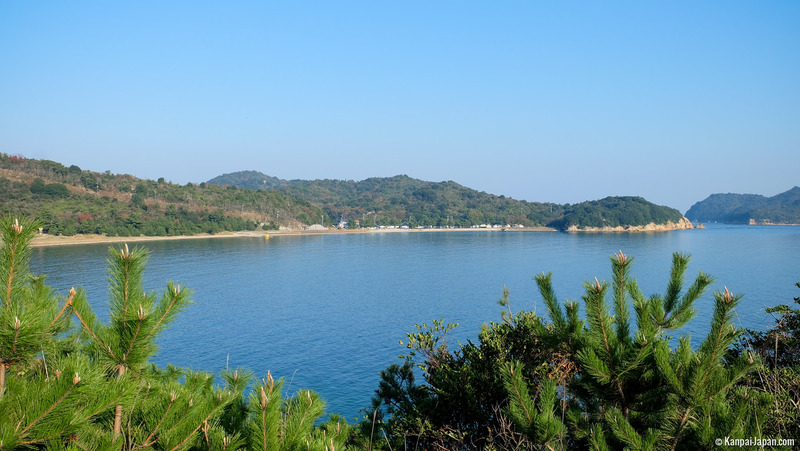 In the last population count in 2013, the area’s number of inhabitants (made up of several islands) were a little more than three thousands. 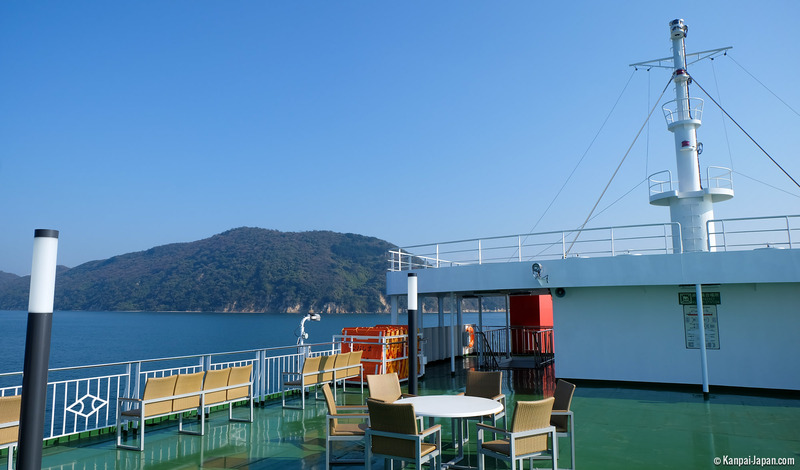 Tourists can travel to Naoshima via ferry, which offers incredible views of the Inland Seto Sea’s multiple islands. 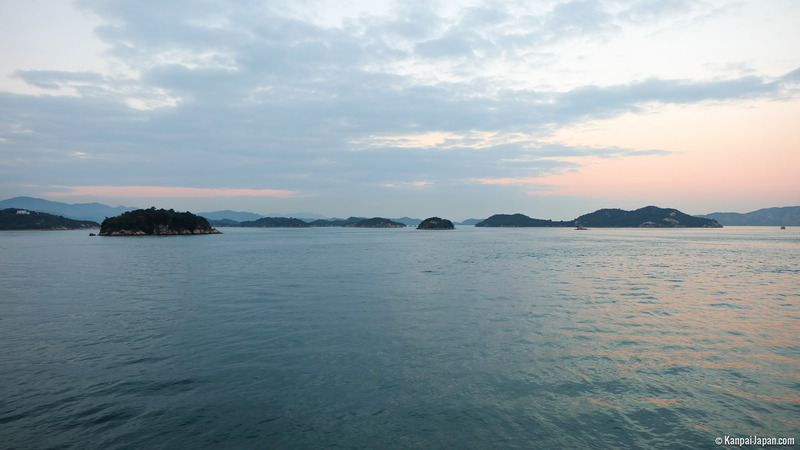 For the best views, visitors are welcome to go up to the ferry's superior deck. 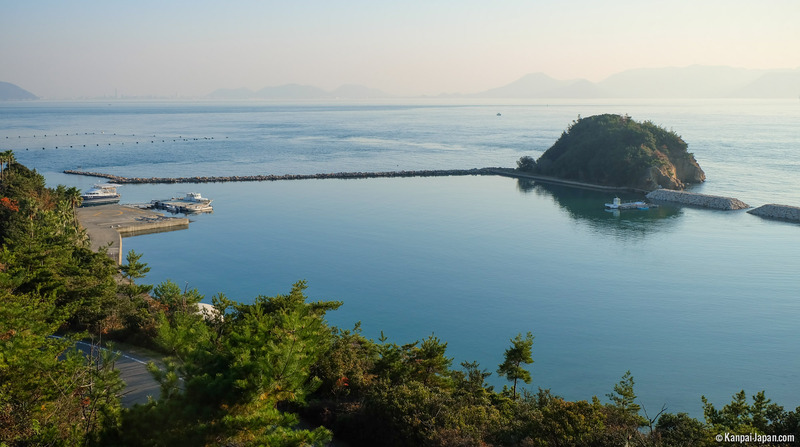 Starting in the eighties, Soichiro Fukutake, president of the Benesse society, decided to transform Naoshima into an art capital. 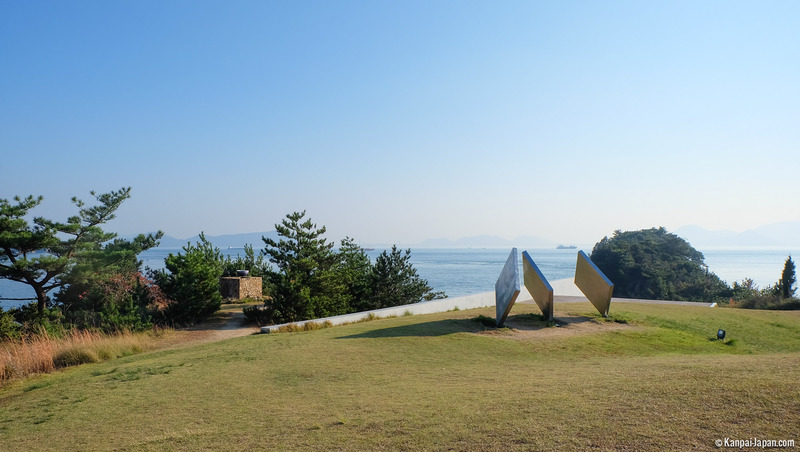 Helped by the famous architect Tadao Ando, he founded several museums and all the buildings of the vast Benesse Art Site. 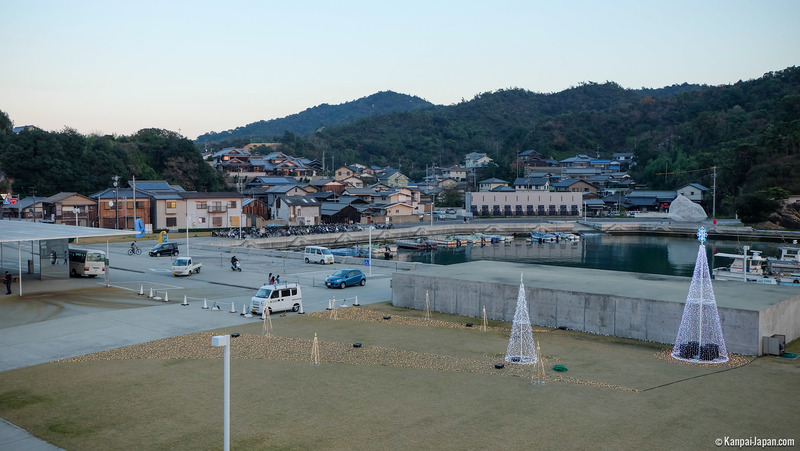 The architect Kazuhiro Ishii designed the city buildings and schools. Its architecture, with its huge volumes and concrete walls, is a real show for the eyes. 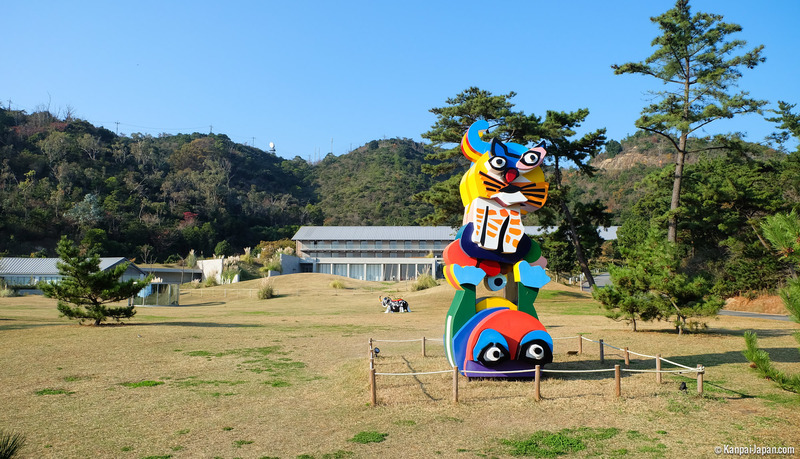 The artworks, it houses are very interesting and diverse (which you have to go yourself to see because taking photos are prohibited). 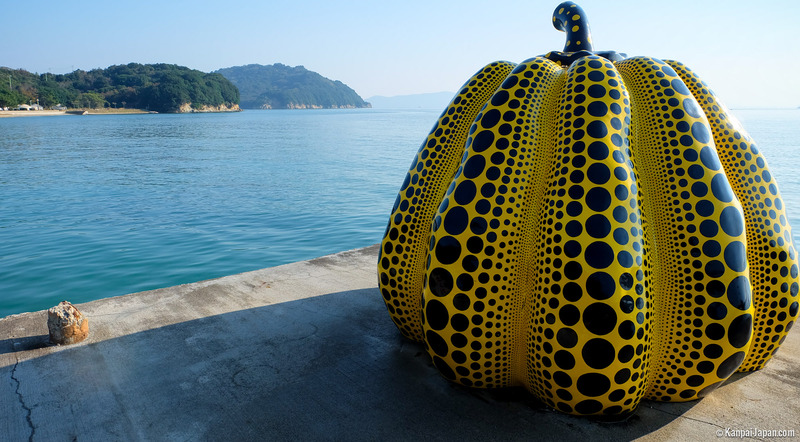 The surroundings of the main building, whether its park or close to the beach, are decorated with numerous sculptures, such as Yayoi Kusama's famous yellow pumpkin, the unofficial symbol of Naoshima. 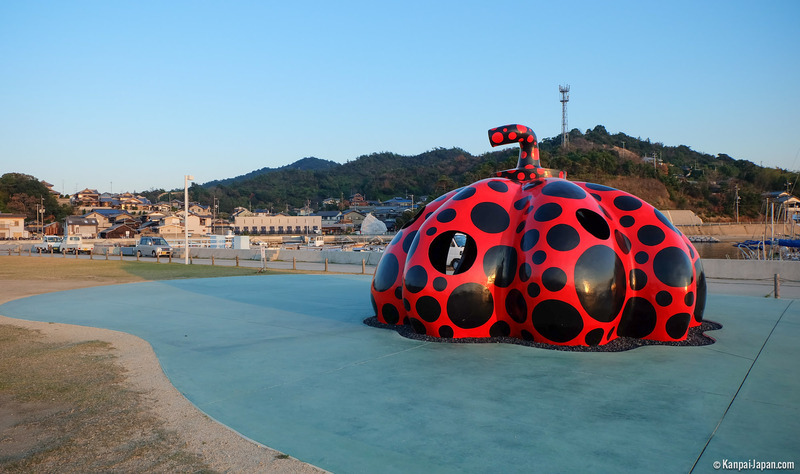 It surprisingly offers about forty hotel rooms in addition to the famous art museum. It is the only museum that is open on a Monday. 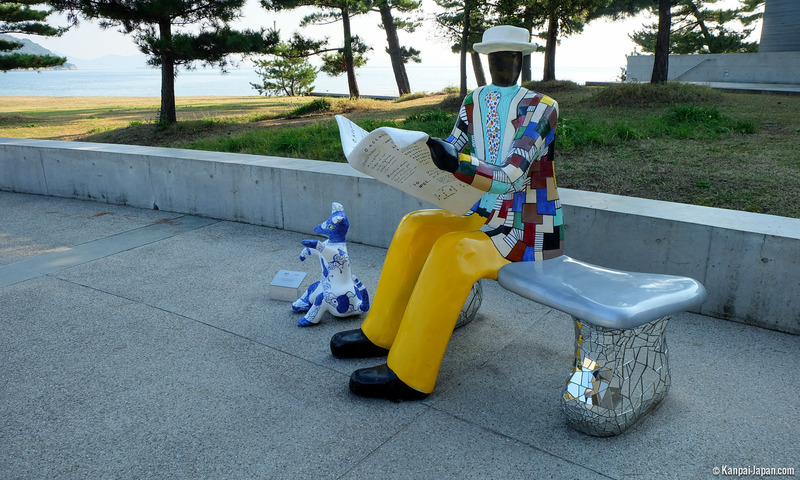 Because the Benesse house is the only museum open on this day, the flow of tourists decreases by 90%! 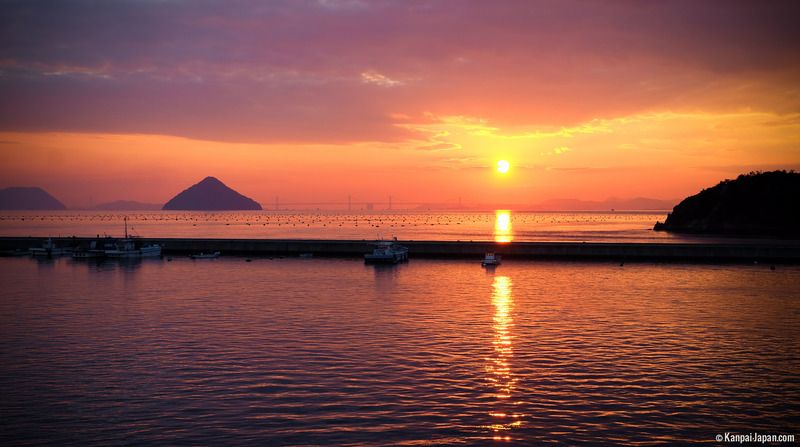 This is therefore a perfect occasion to discover the island from another point of view. 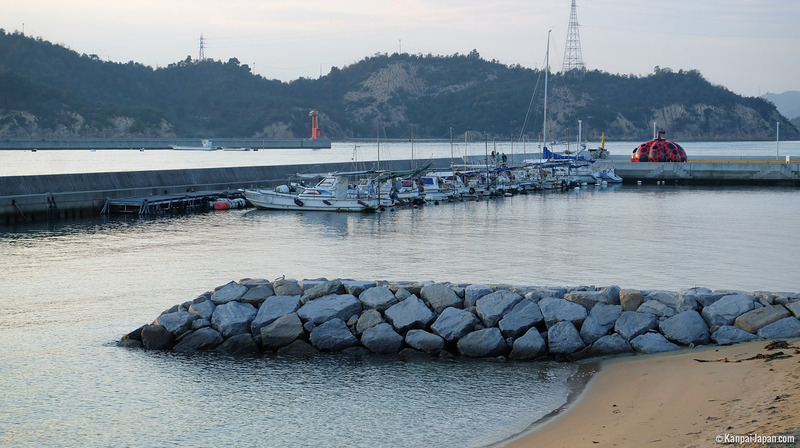 Visitors can escape from big Japanese cities and enjoy its gorgeous beaches and rural charm. 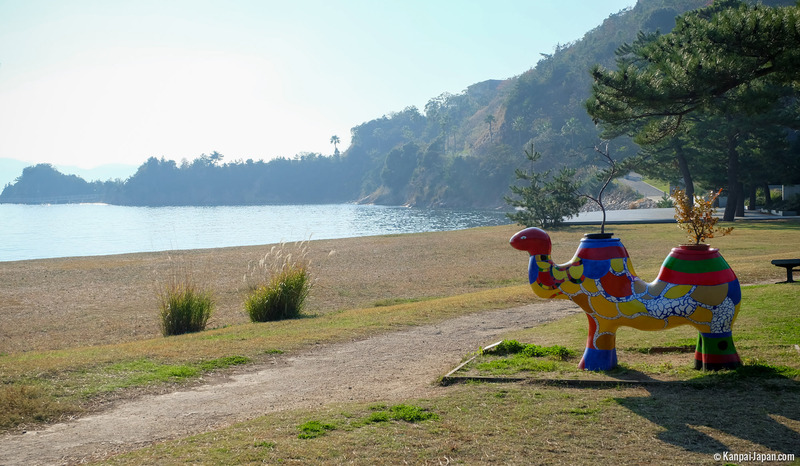 The rest of the week, numerous tourists come to explore the small roads and track the works of art. 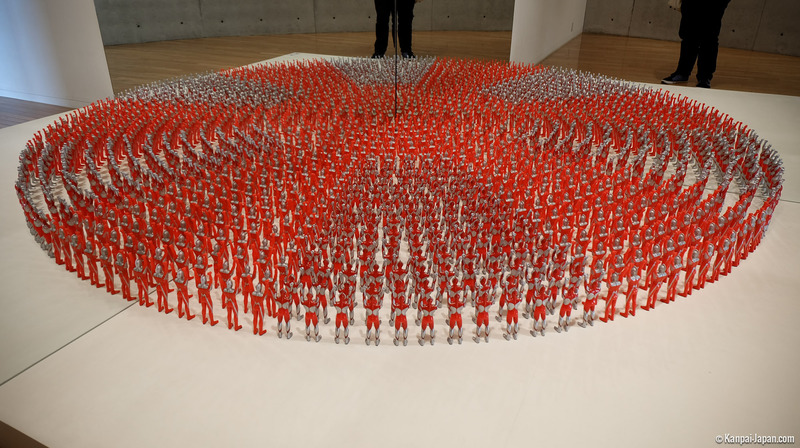 Pay attention to the entrance fees, which can be quite high for the museums. The only free museum is the one dedicated to 007 (as a commemoration of the novel The Man with the Red Tattoo, which was published in 2002 and which takes okay on this island). 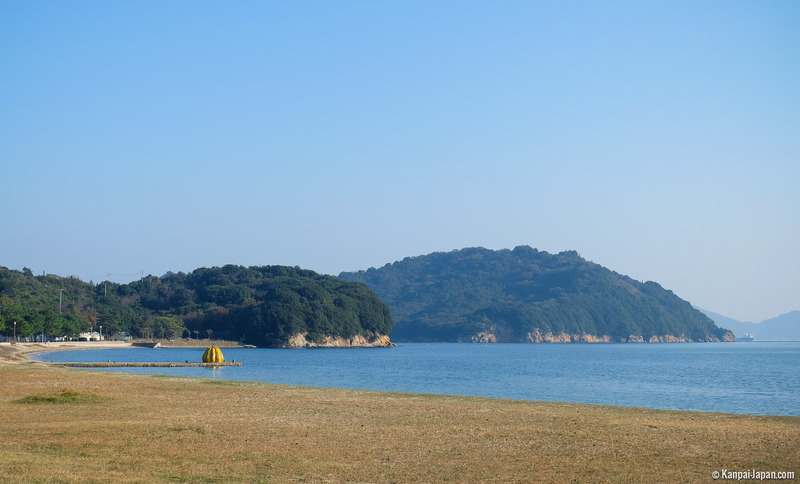 The game field remains on a human scale, but to easily cover the eight square kilometers, we recommend renting a bike to enjoy the several artistic collections distributed around Naoshima. 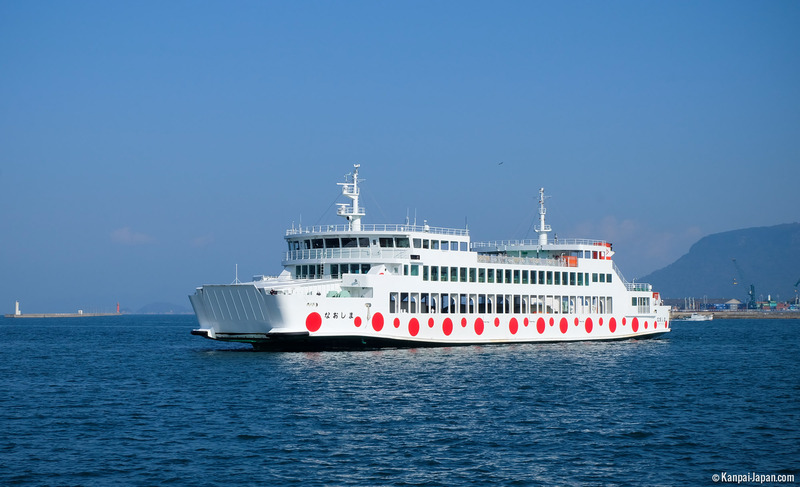 This visit article has been realized with an organized and sponsored travel by the Tourism Center of Tokushima prefecture. Kanpai has been invited and guided but keeps a total freedom of editorial content.